The SIA Group reported an operating profit of SG$426 million in the first half of the 2018/19 financial year which was a 44% decline of US$336 million from last year’s restated profit of SG$762 million. The group added that the drop in operating profit would have been SG$161 million (27.4%) but the hit was felt due to rising fuel costs. It added that flown revenue for the Group rose by SG$422 million, contributed by passenger flown revenue and cargo flown revenue. Despite the challenging year, SIA said that the bookings in the coming months are expected to be stronger year-on- year. SIA also added that it will also remain committed to its three-year transformation programme to enhance customer experience, grow revenue and improve operational efficiency. The programme has been producing positive results in all these areas to date. SIA added that the Group has also been significantly enhancing its digital capabilities through a multi-phased programme which has seen great progress so far. The programme encompasses company-wide training programmes and participation by staff in innovation projects across the Group; building digital capabilities through extensive ITrelated recruitment and a shift to agile delivery of IT projects; large-scale investment in IT infrastructure; and increased collaboration with global tech leaders, start-ups and research institutes. “The recent introduction of new non-stop services to Los Angeles and New York is a significant milestone, providing customers with more convenient travel options, and strengthening the Airline’s competitiveness as well as the Singapore hub. 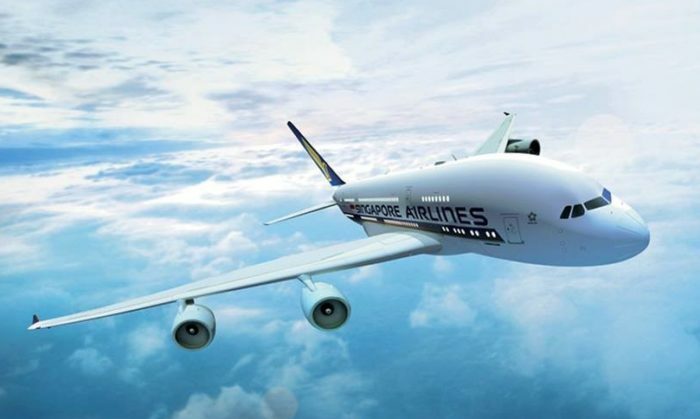 This will be further enhanced next year with the addition of Singapore-Seattle as the fourth nonstop route between Singapore and the important US market,” it said. In August this year, Singapore Airlines (SIA) called for a global integrated pitch where it was looking for agencies to handle its integrated strategy, brand and creative, media, content, website/app and production. The appointed agency or agencies will primarily support the SIA head office based in Singapore. R3 is said to be handling the pitch. According to a brief seen by Marketing, the agency appointed is also required to have capabilities to “service all of the local markets through a hub model”. This means the agency needs to have at least one office in each of SIA’s regional hubs including Southeast Asia, North Asia, Southwest Pacific, Europe, West Asia and Africa, and the USA. The office also needs to have both creative and media capabilities. The brief added that performance media expertise is also “critical” for SIA. This could be in form of a specialist agency or an integrated media solution with performance media expertise clearly demonstrated. The agency model must also include global production capabilities across offline and online media.